There is a lot of discussion about the merits of Voice over IPor IP Telephonyat a technical level, but less about the business issues associated with a converged solution. Black Box is a major supplier of infrastructure systems and is well placed to help you decide what is the best option for your business. Black Box has experience from the largest to the most basic network. Whether this is the infrastructure for the latest generation network for a mobile operator or Motorola, or a budget network for a small business or even a complete voice installation for one of Americas biggest retailers, we have a solution. Convergence means having one common system to carry all forms of information (namely voice, data, video, etc.). 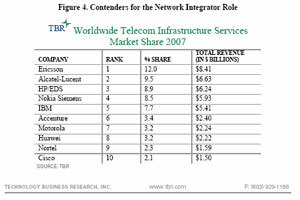 Traditionally, each service has had its own network and associated technology. Voice utilised expensive PBX or exchange equipment with dedicated wiring to telephones. Data used a completely different set of cables and equipment, most commonly based on Ethernet. With technological advances and the growth of the Internet though, it is now possible to have one network carrying all the services. So is it right for you, either now or for the future? Black Box can help you decide, plan your network and install the system; however, the solution will depend on a wide variety of factors. What you have now will influence the path you take. It is a fact that a converged solution can save you money. The real savings, costs and benefits, however, are far less clear because the choices will be dictated by the need to move seamlessly to new systems without interruption of service or loss of quality. Depending on the age, facilities and performance of the existing voice equipment, you may want to consider conversion rather than replacement. Simply use a converter or special interface to allow some or all of the existing connections to utilise low-cost IP call facilities. Having one system simplifies management and support, reducing costs. Modern systems can be accessed and managed remotely, allowing the number of specialist staff on site to be minimised. 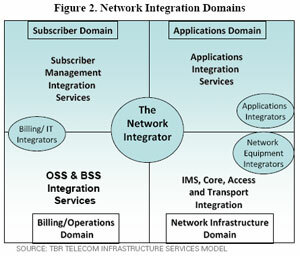 Any new system needs to integrate and offer compatibility both with the internal and external networks. There are international standards for IP telephony, so selecting the right equipment becomes easier. The two major techniques used are H323 and SIP. H323 is more established, especially when ISDN is used for the communication network. 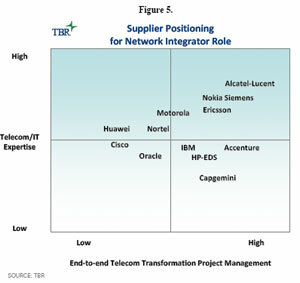 SIP is newer, but it is supported by major players such as Cisco and Microsoft®. Both will co-exist for some while, and work is under way to allow interoperation between them. Data packets can be delayed and, if necessary, retransmitted in the event of errors or problems. This is not a possibility with voice communication. Overlaying voice traffic on an old data network can create bottlenecks and delays, resulting in poor quality voice and slow data traffic. The network design needs to be checked and, if required, upgraded to support the extra traffic and ensure priority to the most critical types of traffic. If video is part of the system, this will place even greater demands on capacity. Starting with a clean sheet and scrapping all existing systems is an ideal unavailable in all but a few special cases. 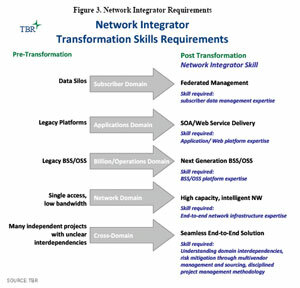 The need to provide paths to migrate from old legacy systems and procedures toward convergence is therefore paramount. Black Box has long been acknowledged as a specialist provider of products and technology that solves the problem of mismatch. Whether its a special cable, an interface converter or a complete change of protocol, Black Box is renowned for coming up with a solution. If all communication is taking place over a single converged network, then this could be considered a single point of failure. In reality, networks can be designed to be fully resilient; however, this has to be planned carefully and tested to make sure that everything continues to work smoothly in the event of problems. Having a converged network will make it considerably easier to establish disaster recovery procedures for a major critical event, such as a fire destroying an entire building. The requirements of new legislation on corporate governance also has an impact on communications, security and integrity of networks. Consolidating all systems under one management enables better control and eases problems of compliance with the requirements of legislation such as Sarbains Oxley, etc. Any system that involves access from the Internet has to be secure. Users have to be sure that they will not be overheard and that confidential information is not available to the outside world. Building in firewalls and other security procedures should be part of the design process, not a late fix to a leaky system. Support should be rapidly available when required and delivered in the most suitable and flexible manner to match the needs of the situation. Black Box provides on-site and on-line Technical Support on a local and global basis 24 hours a day, 365 days a year. You are currently browsing the archives for the converged IP core network category.